Orbital Energy Services’ Metal Disintegration Machining (MDM) Stud Disintegrator removes galled studs in about 40% less time than traditional methods. 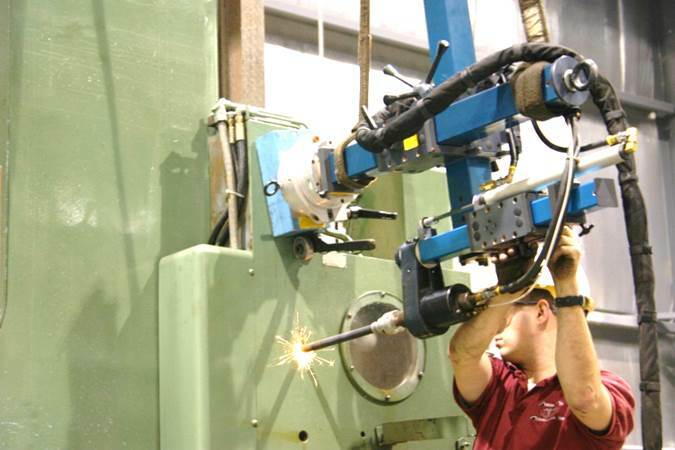 It’s not only much faster – it’s much safer to work with and prevents collateral damage to bore threads and housings. Portable and easy to use in the field, the MDM machine has a vibrating, low voltage, electrode that rapidly “eats away the stud” so it can be easily removed. Operating at ambient temperature, there is none of the usual heat built up and physical damage caused by traditional methods. The MDM process can be used on round, square, or hex stock and bolts of virtually any diameter and length. Using graphite, moly, copper or aluminum, depending on the type of burn required, the machine becomes a high energy, low voltage, thermal shock producing source. The electrode in the machine vibrates 3,600 times each minute. Each time the electrode touches the piece to be burned, an arc is struck. The arc has a point of contact temperature of approximately 5,300 degrees Fahrenheit, liberating a small piece of the material with each arc. A constant supply of fresh water is pumped through the electrode, causing the molten metal to thermally break down and release while also flushing the liberated metal back out the discharge hole. The discharged pieces are normally less than 10 microns in size (less than a grain of sand). The water also acts as a heat exchanger, i.e. the only portion to get hot is the small area that the tip of the electrode contacts, unlike drilling where heat from the bit transfers to the surrounding material. The MDM maintains everything at ambient temperature, except what needs to be removed. 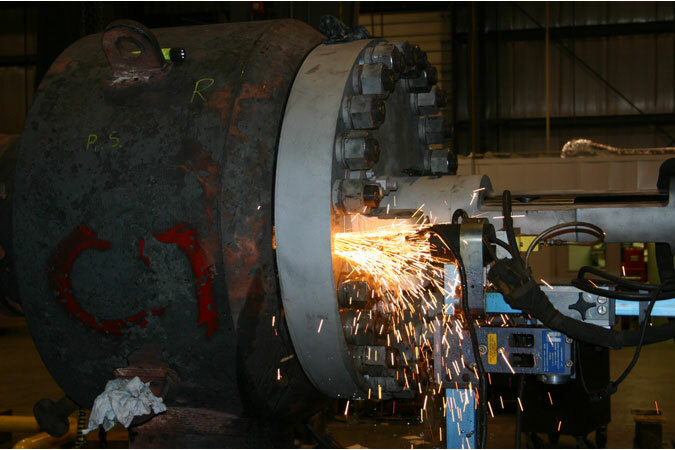 Orbital Energy Services can remove any size, or burn any configuration, from 40 thousandths of an inch to three inches in diameter in one pass. Larger studs or holes can be accommodated with multiple passes. On average, the MDM is about 40% faster than conventional drilling, and even glazed or hardened studs or bolts are removed with no problem with the MDM. Why choose Orbital Energy Services for on-site stud removal? The MDM Stud Disintegrator has a track record of success in thousands of extractions worldwide and is the most effective extraction tool available.